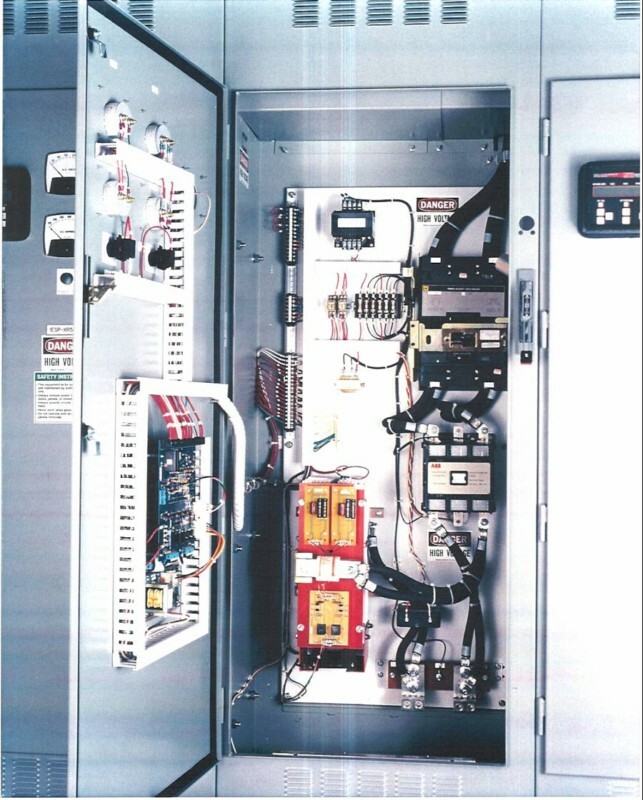 NWL’s Graphic Voltage Controller (GVC) has industry-leading speed and strong visual user interface screen for use with electrostatic precipitators (ESPs). A voltage control is used with a single phase silicon controlled rectifier (SCR) based power supply topology. This control modulates the SCRs on and off in response to operating conditions inside of the precipitator. 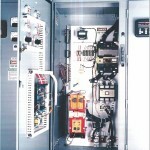 The control should operate in one of two conditions, spark rate or transformer nameplate rating limited if not being controlled by one of the GVC’s many other control features. The current design has an upgraded micro-processor for speed, along with a color graphical user interface with a tactile screen, simplified software, easy-to-use navigation and improved overall usability. The new tactile screen is called the Global Display Unit (GDU). The GVC control utilizes Digital Signal Processing (DSP) to increase microprocessing speed and shorten response time on key control functions. 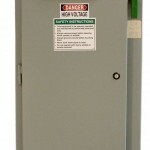 The GVC is designed for easy installation into new or existing voltage control enclosures. The GDU is designed to be used in either a one-to-one or one-to-many arrangement to fit the end user’s budget requirements. 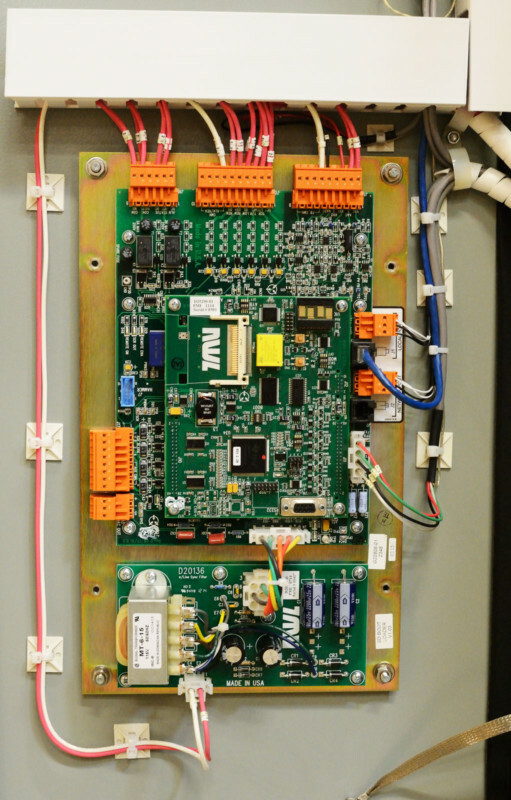 NWL has significantly advanced its GVC control module technology with the latest electronics and communications devices. All these components are surface mounted for greater reliabilty. The heart of the upgrade is a new Texas Instruments Digital Signal Processor (DSP), which samples over 75,000 feedback signals every second; in contrast, most ESP voltage controllers on the market today sample at a rate of 100/sec. A second major feature is the optional Anybus module (from HMS Industrial Networks), which enables communication between the SCR controls and a central control system (DCS or SCADA) in the absence of an NWL PCAMS interface system. The new processor will enable monitoring of peak voltage (Vpeak) and provide better immunity to line noise (SCR gating effects) owing to the phased lock loop design within the processor. An SD card slot is included on the DSP board and can be used to facilitate loading of future product enhancement software. 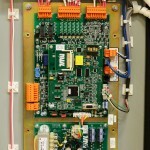 A 4-character LED display is located on the board for at-a-glance diagnostics.